Home » News » Pedro Regalado op-ed in the Washington Post: What the narrative about Alexandria Ocasio-Cortez gets wrong. Pedro Regalado op-ed in the Washington Post: What the narrative about Alexandria Ocasio-Cortez gets wrong. Pedro Regalado, Ph.D. candidate in the American Studies program. Women of color burst through in last week’s midterm elections to diversify America’s local and national politics. Deb Haaland, Jahana Hayes, Ilhan Omar and Lauren Underwood were just a few of the candidates who added to this national achievement. In New York, this success had special resonance. 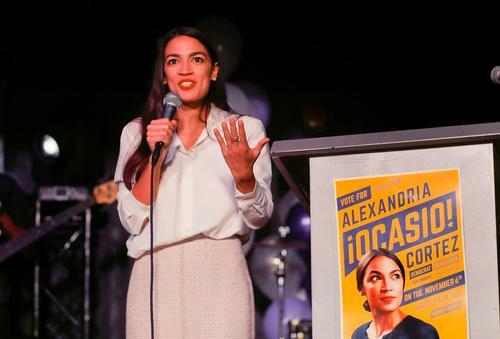 The enthusiastic Queens native Alexandria Ocasio-Cortez was joined by other Latinx candidates, including Julia Salazar of Brooklyn and Jessica Ramos of Queens, both first-time contenders of Colombian ancestry who succeeded in winning state Senate elections. These women tapped into more than the progressive movement or frustration with the status quo and President Trump. They also built on the long history of Latinx political activism, and their victories provide a distinct formula for how the Democratic Party can re-energize itself. Ocasio-Cortez, Salazar and Ramos did not simply embrace the platform of the mainstream progressive left. Rather their victories show how the mainstream progressive left is shifting in the direction of policies that previous generations of Latinx activists, politicians and everyday people have struggled to achieve for decades. All three candidates form part of a longer lineage of Latinx New Yorkers and their organizations, from Aspira to UPROSE and beyond, who have worked over the past 60 years to bring the diverse issues affecting the city’s Latinx and other poor communities to the fore.